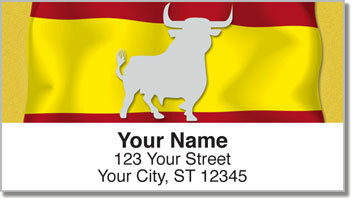 We've captured the allure of bullfighting on this cultural set of return address labels available online through CheckAdvantage. You'll feel like you're in the stands watching with wide eyes as the daring bullfighter faces off against an angry beast. He skillfully avoids the bull's horns with flair and finesse. Coincedentally, those two things are exactly what you'll be adding to your letters and packages. But eye-catching looks arent all these labels have to offer. 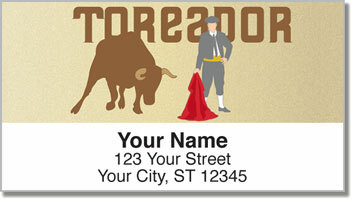 Because they are self-adhesive, you'll eliminate the need to write your name and address on every envelope. 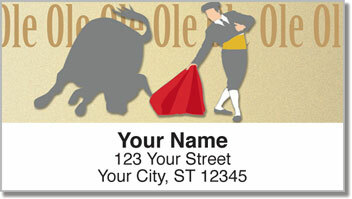 Order your very own Spanish Bullfight Address Labels today! 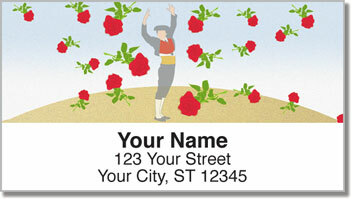 You can also find this selection in matching personal checks.